All our e-books are completely FREE and free from advertising. You do not need to register or give an email address to download them. You can read the Kindle and ePub formats on your e-book reader or the PDF format on any computer. These books are not to be sold, but may be freely distributed. ​The General Epistles are of immense importance to Christianity and to you personally. ​This eBook looks at specific lessons we can learn from them and may significantly increase your understanding of these treasures of the New Testament. DOWNLOAD THE FORMAT OF YOUR CHOICE. Many people who read the book of Ruth think of it as a simple love story, but in reality it is far from simple, and it is not really a “love story” in the modern sense of “romantic love” either! Instead, Ruth is a story of deep courage, strength, loyalty, determination, and kindness with an underlying message that reaches from the ancient world to our lives today. 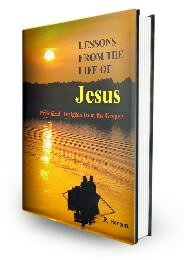 Rather than simply retelling the story of the life of Jesus, this book focuses on some of the details of the Gospel narratives that are easy to miss, but which can help us to better understand his life and teachings. In each case there are lessons we can learn and apply. Enrich your understanding of the life and work of Jesus and take away lessons you can apply today. ​DOWNLOAD THE FORMAT OF YOUR CHOICE. 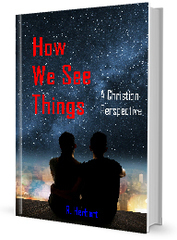 ​How We See Things provides a unique look at the way we see physical things, ourselves, others and God – and shows that how we see things affects every aspect of our Christian lives! This easy to read book is geared for personal study and growth. ​​DOWNLOAD THE FORMAT OF YOUR CHOICE. 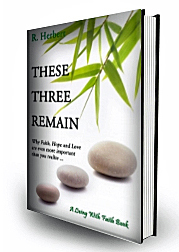 ​This book looks closely at each of the three key Christian attributes of faith, hope and love, and examines how they interact with each other in your life. Rather than being a devotional, this is an in-depth study of these qualities. As you read this book, you may find that faith, hope, and love are far more important than you ever realized. An introduction to Christianity, this book is designed for personal study or missionary use. It explains thirty-six “core” Christian beliefs and principles of living in a straightforward, easy to understand manner, with introductory text and five key verses for each subject. 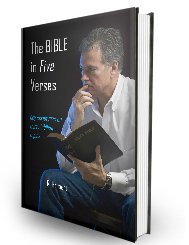 The book can be used to review key scriptures, for sermon and Bible Study preparation, or for inspiration. 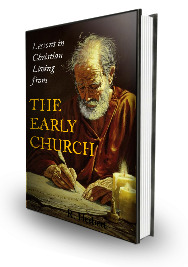 This book looks at lessons we can learn and apply from the beginnings of the Christian Church as recorded in the New Testament Book of Acts. It can be used as a practical commentary, a devotional or study aid, to prepare lessons or sermons, or simply enjoyed as a profitable Christian read! 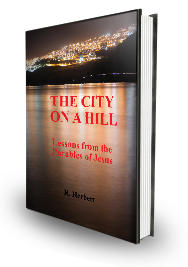 This book is a practical but carefully researched commentary on all the parables of Jesus. Use it as a study guide, a devotional aid or reference, to prepare lessons or sermons, or simply read it to better understand the parables! A GUIDE TO GROWING AND SHOWING GRATITUDE NEW! Gratitude may be one of the most important qualities we can develop in this life, yet many Christians do not seriously focus on growing in this area. This book looks at why and how we can increase thankfulness – to not just occasionaly give thanks, but to live our thanks with the gratitude that God desires to see in our lives. A practical collection of short essays on different aspects of being encouraged and encouraging others through life's difficulties, challenges, and opportunities. 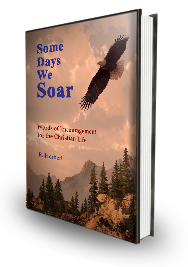 One of our most popular books, Some Days We Soar might change your view of life. Whenever the need to forgive comes up, or to prepare you for when it does, our latest free e-book is designed to help you. How to Forgive looks at Forgiveness from a practical perspective, showing what the Bible actually teaches about this vitaly important subject and how we can best apply the guidance it gives us. ​The four Gospels lie at the very heart of Christianity, recording its most essential teachings and providing us with most of what we know about the person of Jesus Christ, his fulfillments of Old Testament prophecies, his message, and his true identity. Yet many Christians do not know why there are four Gospels, exactly how they differ, or what their unique lessons are. This book answers those questions in a way that can greatly increase your understanding of their message. This book is for new Christians and established believers alike. It takes a fresh look at what the Bible really says about prayer – about how we should pray and what we should pray – and it may transform your prayer life. 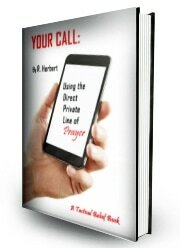 It will certainly enable you to enhance your prayer starting immediately – by showing you how to more fully and effectively use the direct line of prayer! 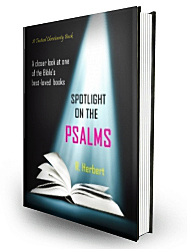 Psalms is the Old Testament book quoted most in the New Testament and read most frequently today. Our new e-book uses archaeological and cultural background information to enrich a practical commentary that can help you both to better understand the psalms and to better apply their messages in your own life. This book is a practical collection of short essays on what it means to be a Christian warrior – how to train, fight and triumph in the spiritual life to which we are called. Use it as a devotional, in preparing lessons or sermons, and to become a better warrior of the Way!